Yesterday was the first Sunday football match of the season for my son and the early morning was bathed in autumn mist. It got progressively warmer and along with the other parents, I enjoyed watching the boys for three hours in glorious sunshine. My scarf is one of the new designs from my online boutique and I love the soft tones. I’m so pleased with how well my patio rose has bloomed. It smells as gorgeous as it looks. The football took longer than anticipated and my son had quite a deep cut on his knee that needed attending to when we got home. This coincided with my parents arriving because we had a lunchtime reservation at a local restaurant. As a result, time got the better of us so I didn’t get any photographs of the outfit I wore for lunch- my Onjenu maxi dress. 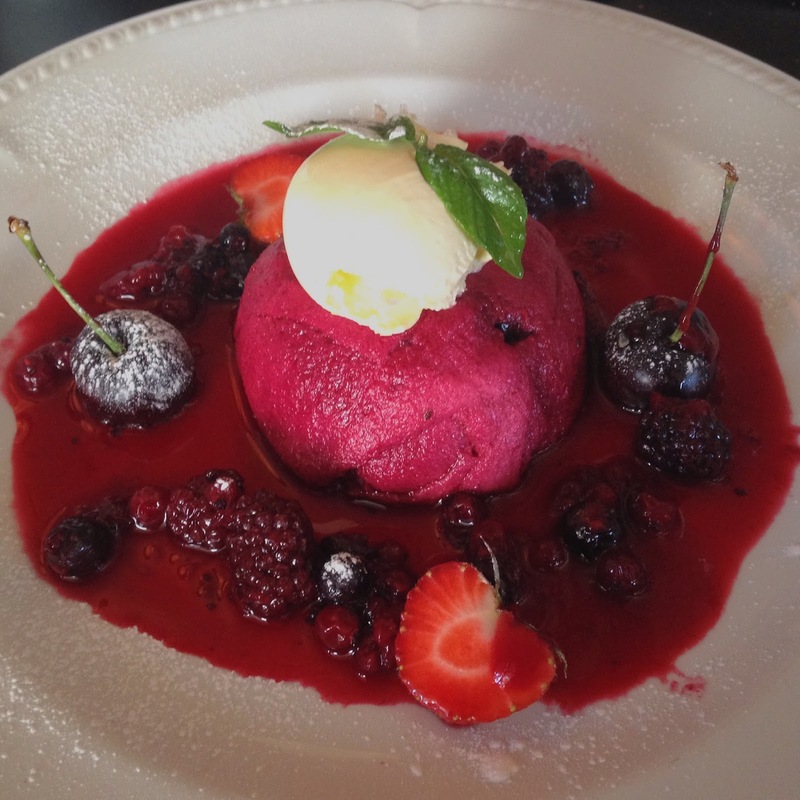 I did however manage to photograph my utterly divine summer fruit pudding. Previous Post What to Wear to an Autumn Winter Wedding. Next Post Outfit:Skinny Jeans, Tweed Jacket, Pink Scarf and Turquoise Ballerinas.